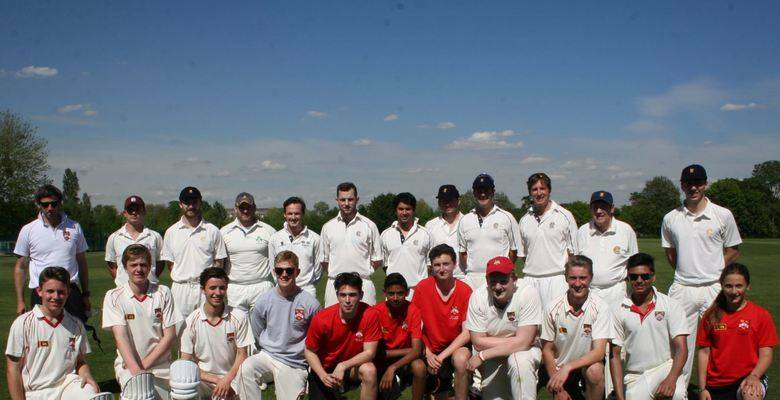 The 1st XI’s annual match against MCC was played in brilliant sunshine on Wednesday 13th May. The sun may have shone but the date was inauspicious for the young KGS side. MCC batted first and got away to a good start before lunch, but after the interval KGS came back strongly, the bowlers giving the team a fair chance of victory by dismissing the visitors for 198. Ralph Harvey-Kelly shone, taking 6/37, and earning an invitation to the First Day of the Lord's Test during the summer as a prize. Unfortunately, the batsmen were unable to capitalise on the opportunity they had been given and were bowled out for a disappointing 78. History was made, however, and not only with Ralph’s tremedous six-wicket haul. Fourth-former and England hopeful Eva Gray made her 1st XI debut and was totally unfazed by the occasion. Relishing the opportunity, Eva took 2 wickets and got into double figures with the bat. The MCC members were full of praise for her performance and potential, commenting very positively about how technically proficient she was. Clearly, Eva is one to watch for the future, and we congratulate her on a very successful and historic debut.